For many years, audiences across the country and from around the world have heard the story of Fiddler on the Roof. Some might recall the movie, others, the Broadway play. 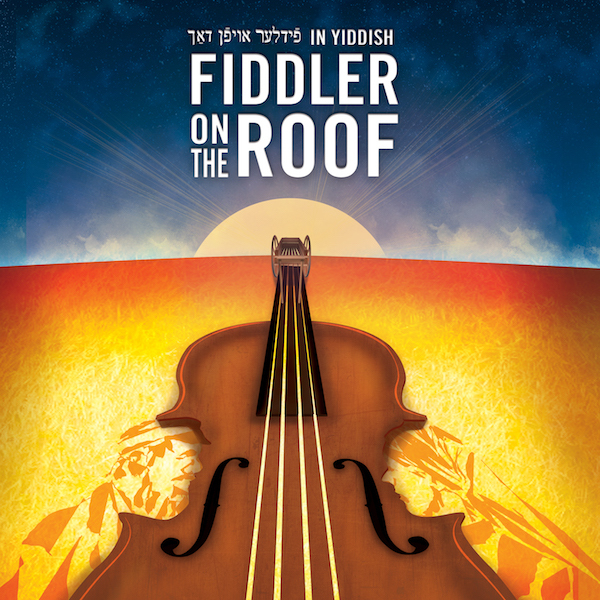 This summer, Fiddler on the Roof plays yet again, this time in Yiddish, to mark the world premiere of the musical (in Yiddish, in Israel), some fifty years ago. Revisiting the story of Fiddler on the Roof in its characters’ and the source material’s language, in today’s context, enhances its authenticity and offers today’s generation a perspective on today’s world, and perhaps even a glimpse into the future, through the lens of tradition, family, and love as captured in the play. For those not quite familiar with the story, Fiddler on the Roof is based on the “Tevye the Dairyman” vignettes, by Sholem Aleichem. It tells the story of Tevye, a poor milkman living in the Russian village of Anatevka, in 1905, with his wife, Golde, and five daughters. He talks about his Jewish community living in Anatevka and the traditions defining his community. And while keeping up with tradition, Tevye asks the village matchmaker, Yente, to find husbands for three of his daughters who’re barely old enough to get married. As the story unfolds, we get to know and understand this small Jewish community—its traditions as well as its challenges and conflicts; conflicts such as the generational gap between parents and children, and how each interprets tradition, and the meaning of family and love, as well as an impending threat about to forever change the lives of Tevye and his family, his community, and Anatevka, itself. Through it all, from the very first scene capturing this community and its simple life set in its tradition, to the very end, when life, as this community knew, starts crumbling down, there is one constant presence that transcends the entire story, as if to connect the two worlds, the old and the new, the familiarity of a present about to become a past and the uncertainty of the future. And that constant presence is a fiddler who plays, perched on a roof. Academy award-winner Joel Grey directs the all-star cast American premier of the Yiddish landuage Fiddler on the Roof. 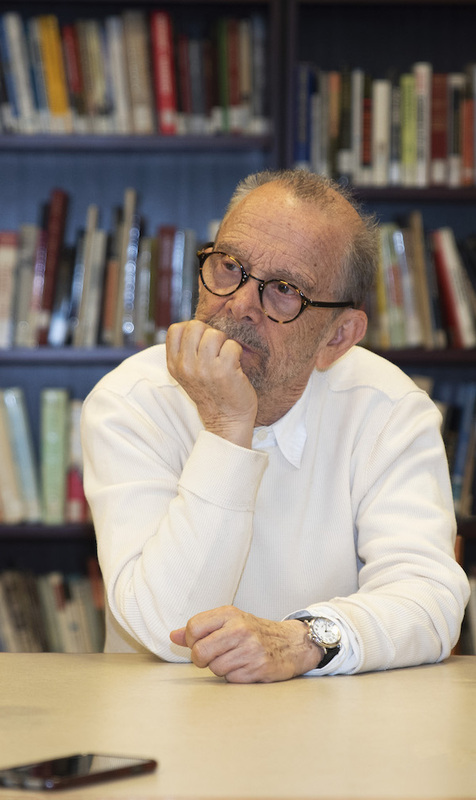 Here, Joel Grey talks to the press on June 4, before starting rehearsals, at the Museum of Jewish Heritage. Performances run July 4 through August 26. What does the story of Fiddler on the Roof have to do with HIV? Maybe more than we might think. Truth is, the story of Fiddler brings out universal, timeless and, in particular today, timely issues that we can all understand, especially, I believe, those parts of the HIV community. Fiddler talks about pain, despair, loss, about the fight to survive, as well as hope, all intrinsic to the history of HIV. 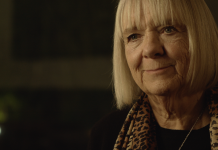 After all, stories about the impending threat of AIDS, as well as about loss (loss of life, when it comes to AIDS), suffering and despair defined, at least in part, the early years of the epidemic. Stories about survival and fighting back have been told along the way, for over thirty years of HIV and AIDS. 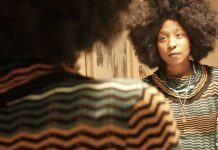 More recently, literature and film have been addressing the generation gap, like in the movie After Louie [A&U, May 2018], that is, a divide between members of the ACT UP generation, those who’ve lived through loss and suffering, and the present generation. 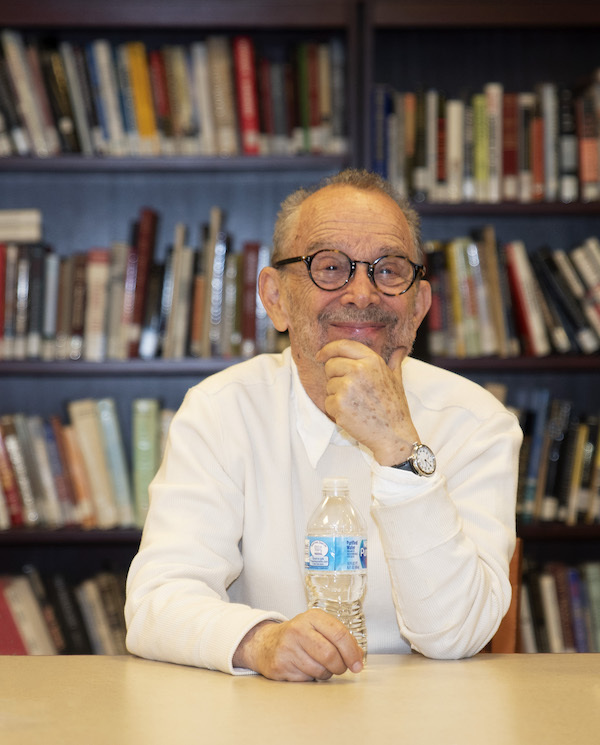 In a recent press conference, award-winning actor, Joel Grey, who directed this summer’s production of Fiddler on the Roof, talked about the universality of the play. 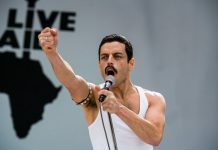 He explained that the show has played in many countries, and no matter where the audiences are, if they understand the language spoken in Fiddler or not, they always connect with the story. “They think it’s about them. The show speaks to those marginalized,” Grey said. Its universality helps people recognize the humanity and similarities of their past. Joel Grey was born Joel Katz in Cleveland, Ohio, in 1932, into a family of Russian Jewish heritage. He started performing at a very young age. Grey is an actor, dancer, singer and photographer, perhaps best known for portraying the Master of Ceremonies in Cabaret—both the play and movie versions. He is the father of actress Jennifer Grey, who’s maybe best known for her role in the movie Dirty Dancing. In his 2016 memoir, Master of Ceremonies, Grey writes about his life “in and out of the limelight,” about his sexuality and coming out later in life. One of Joel Grey’s most defining roles is that of Ned Weeks in the original production of the seminal play of the early epidemic, The Normal Heart. Then, in 2011, he co-directed the 2011 revival of Larry Kramer’s play. And, as an advocate, he has helped raise funds for Broadway Cares/Equity Fights AIDS, among other nonprofits. 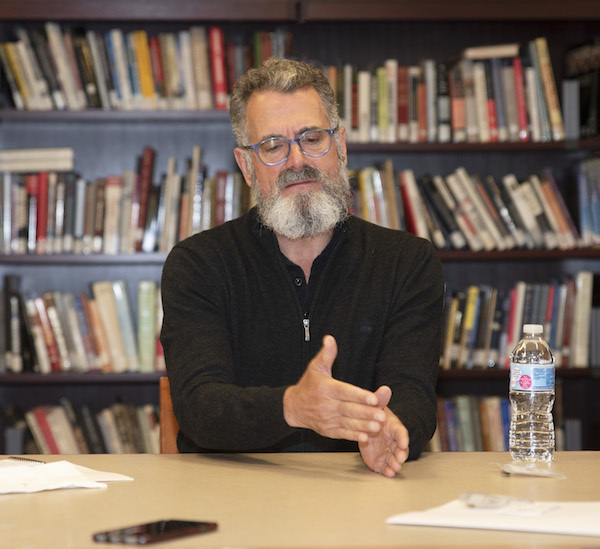 Actor Steven Skybell (Fiddler on the Roof, Wicked, The Full Monty), who plays Tevye, talks about the revival of Fiddler on the Roof, on the first day of rehearsals, on June 4, at the Museum of Jewish Heritage. This summer’s production of Fiddler on the Roof has brought together an all-star cast, including Jackie Hoffman [A&U, March 2012] (Hairspray), Steven Skybell (Fiddler On the Roof, Wicked, The Full Monty), and Mary Illes. Grey noted, “Twenty-six actors on this little stage, some of the greatest talents from Broadway, all Tony winners, came along with me downtown on this adventure.” The actors worked with the script in Yiddish that was performed in Tel Aviv fifty years ago. Some of them knew Yiddish, while others had to learn it. Maybe tradition does survive generations, challenges and seemingly unsurpassable threats and obstacles. 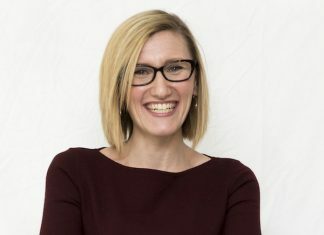 Maybe family and love—and the ever-changing concept of family and love—don’t challenge tradition, but rather redefine it, reshape it so that it can survive the passing of time, because we cannot have a present and dream of a better future, if not for our past and for learning from our past. That’s true when it comes to HIV, and also when it comes to life, in general. For tickets, please visit the National Yiddish Theatre Folksbiene (NYTF) at www.NYTF.org. For special Fiddler-themed evening events, go to www.mjhnyc.org. Follow Joel Grey on Twitter @JoelGrey or visit online at www.joelgreyphotographer.com.